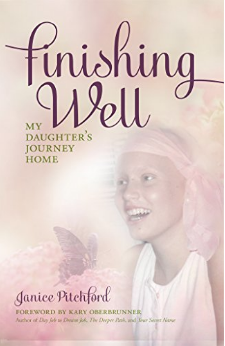 My Book – Finish Well, LLC. Does life have to be long to be full? Most people coast through life. Routines evolve and ruts emerge. One day an unexpected turn jolts us awake. Questions challenge us and patterns disrupt us. And we’re confronted with deeper issues like Finishing Well. But some people never experience that luxury. Rather, their lives are snatched from us before they even have time to coast. Dawn Pitchford was one of these people. In this gripping memoir you’ll meet Dawn Pitchford and see how she was both a lamb and a lion. Optimism defined her attitudes and smiles graced her face.